Fiat Chrysler Automobiles announced that its wholly owned subsidiary FCA US LLC has reached final settlements on civil, environmental and consumer claims with the U.S. Environmental Protection Agency, U.S. Department of Justice, the California Air Resources Board, the State of California, 49 other States and U.S. Customs and Border Protection, agreeing to pay approximately $400 million in civil penalties to resolve differences over diesel emissions requirements. Daimler Trucks announced that it will invest EUR 500 million over the next years and create more than 200 new jobs in its global push to bring highly automated trucks (SAE level 4) to the road within a decade. The California Air Resources Board approved a first-of-its-kind regulation in the United States that sets a statewide goal for public transit agencies to gradually transition to 100 percent zero-emission bus fleets by 2040. 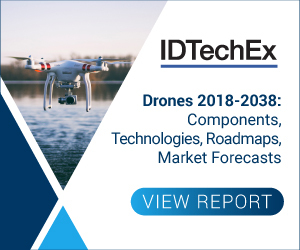 Rio Tinto has successfully deployed AutoHaul, establishing the world's largest robot and first automated heavy-haul, long distance rail network. Nuro has launched the first-ever unmanned delivery service for the general public. People in Scottsdale, Arizona can now have their groceries delivered by the R1, a self-driving, unmanned on-road vehicle. 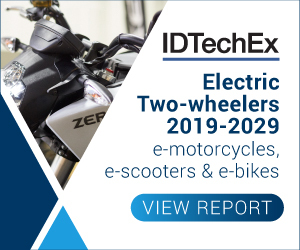 Zero Motorcycles have exhibited at the past two IDTechEx events, and typically showcase their sporty S and off-road DS models, as well as their impressive 45kW electric motors (designed from scratch in California and produced at a factory in China). 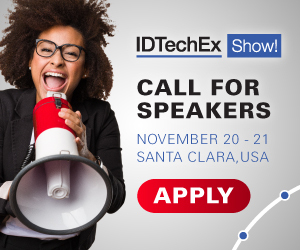 This year, at the IDTechEx Show! in Santa Clara California, things were markedly different. The European Automobile Manufacturers' Association takes note of the final deal on the CO2 regulation for cars and vans, setting targets for the years 2025 and 2030, which was struck by the EU member states and the European Parliament. LeasePlan Netherlands will collaborate with Dutch scale-up Lightyear, the first company in the world to develop an electric solar car for consumers. LeasePlan Netherlands will become Lightyear's leasing partner for the Lightyear One, the first car produced by the company. The Pioneer Edition of the Lightyear One is expected to drive on Dutch roads in 2020. Vauxhall will embark on an electric-focused technology drive, which will transform its range over the next two years at a similar rate to its first heady days as a car manufacturer at the start of the last century. Scania is developing a fuel cell refuse truck together with Renova, a waste handling company in western Sweden. The truck will feature a fully electrified powertrain as well as an electrified compactor.